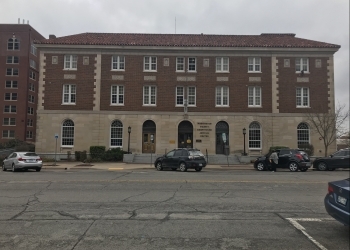 Washington County Election Board Secretary Yvonne House said Friday, April 19th is the last day to apply for voter registration. House said this will give you eligibility to vote in the Tuesday, May 14th Special Municipal for the City of Dewey. She said persons who are United States citizens, residents of Oklahoma and at least 18 may apply to become a registered voter. Application forms are available at the County Election Board Office located at 420 S. Johnstone. Form may be found in all post offices, public libraries, tag agencies, and on the Election Board website, elections.ok.gov. April 19 is Good Friday so the Election Board office will be closed. The Washington County Election Board will respond in writing to each person who submits an application for voter registration. The response will be either a voter identification card listing the new voter's precinct number and polling place location. You may also get a letter explaining the reason(s) the application for voter registration was not approved. House said that any person who has submitted a voter registration application and has not received a response should contact the County Election Board Office. For more information regarding voter registration, contact the Election Board at 918.337.2850.